As hard as you may try to avoid it, it’s likely that at some point in your lifetime you’ll need the help of a good lawyer. Many people associate the need for a lawyer with the act of committing a crime. This is why people who do their best to avoid criminal activity don’t think that they’ll ever need this type of help. You can hope that none of these things will ever happen to you, but life doesn’t always go as planned. When you have a problem that requires the help of a lawyer, the first thing you have to do is select one. Many people in this world find themselves involved in lawsuits from time to time. 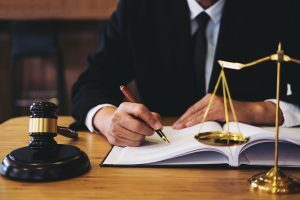 Common reasons for these legal proceedings include auto accidents, workplace injuries, dog bites, wrongful death suits, and more. The ordeal can be complicated, confusing, and overwhelming, especially when folks choose to go it alone. After all, most of them haven't studied the law for years and years. Thus, the jargon and processes leave the person perplexed and stressed out. Most people drive around from place to place without a care in the world. They believe their cars are safe and have no reason to think otherwise. However, sometimes, a part or piece can malfunction and put the motorist in danger. Heck, they even pose a threat to pedestrians and other people on the roadways. One of the scariest feelings in the world is attempting to slow a vehicle down only to have a spongy brake pedal. If it compresses to the floor and nothing happens, the person's car can slam into someone else's rear end, an immovable object like a concrete barrier, or even a building. You have recently been involved in a car accident and sustained injuries. Now the medical bills are beginning to pile up, and you are unsure of what you need to do to file a claim so that the insurance provider of the other party responsible can step up and pay these bills. 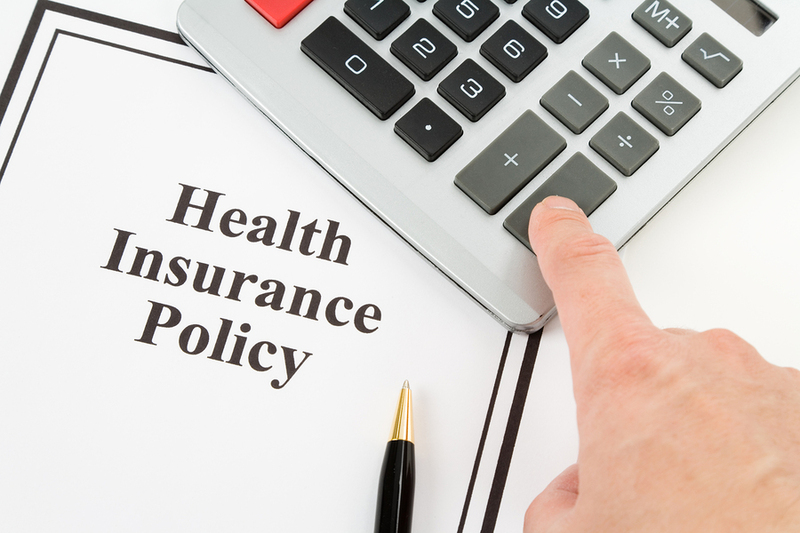 Do you have to use your own health insurance to cover these costs? 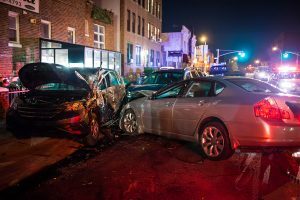 If the other driver was responsible for the accident, then the liability for bodily injury should fall to their car insurance for the medical expenses. Your own car insurance, despite who is at fault or not, should also pay for your medical expenses. However, there are also times when you can and cannot use your health insurance as a replacement for your car insurance for injuries and medical expenses. Florida is one of the few states that requires that you carry personal injury protection insurance (PIP) in addition to your other coverage. PIP is used to cover any injuries sustained due to the accident, rehab costs, and even lost wages. 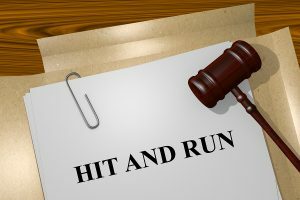 What Can You Do After A Hit & Run? One of the most upsetting things that can happen on the roads of Florida is for you, as a driver, to be doing everything you can to obey Florida traffic law, and then get into an accident through no fault of your own. This becomes even more upsetting if the other driver responsible for the accident doesn’t do the responsible thing, but instead drives away, hoping to avoid all the consequences of what just happened. But can they? If someone flees the scene of a hit and run—an act that is, unfortunately, on the rise in our state—do they get away with it?Is there nothing you can do once the other driver has decided to evade responsibility, and all you can do is hope your insurance company understands? The answer is “no,” and there are a few options open to you for investigating this. However, despite the fact that a decision to hit and run is against the law, hit and run incidents are on the rise. Perhaps even more sobering, Florida is one of the top states in the USA where hit runs are on the increase. And this means bad news for everyone. Do You Need An Attorney For A Workplace Accident? Every day, accidents happen on job sites around Florida. And when they occur, it's easy for the person who was hurt to assume that they just need to file a worker's comp claim and be done with the process. In a perfect world, that would be the case. But it's rare that things work out that way, and for many people, the help of an accident attorney will be a must after a workplace accident. If you want to ensure that you make a total recovery, speaking to one of these experts will be vital. •	Ensuring that you actually don’t' get refused in your claim. It's common for insurance companies to do all that they can to refuse a payment or try to deny claims. You may end up being denied just so the powerful insurance companies can save money. A personal injury attorney will argue your rights and ensure that this doesn't happen. Sadly, one of the reasons that societies like the United States require laws in place is to have something enforceable—and punishable—when common decency is not enough to compel people to do the right thing. 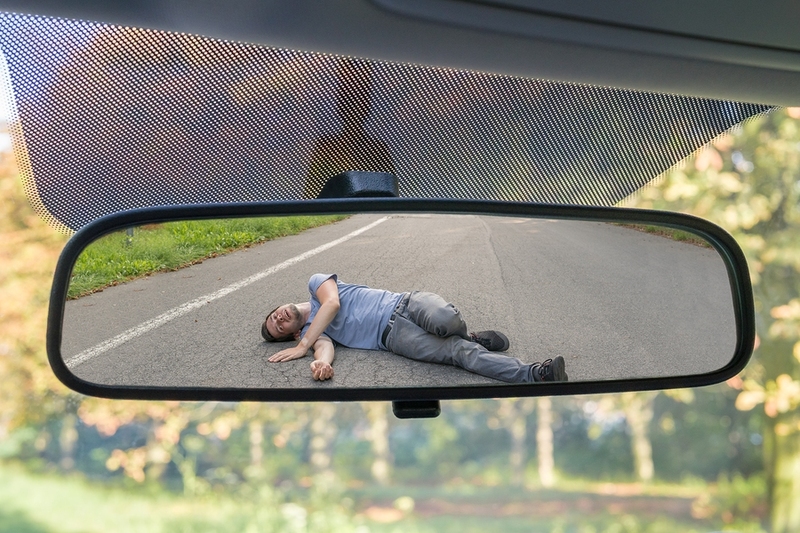 One of the most common examples of this in modern life is the “hit and run.” Put simply, when a driver gets into an accident, whether it is hitting a piece of property, a person, or even another vehicle, the driver then flees. In these cases, it’s almost never ignorance, and is a deliberate attempt to evade whatever financial or legal consequences may be due. Sadly, Florida has, for years, had a pretty significant hit and run rate. 25% of accidents occurring in the state involved drivers in the incident fleeing the scene. In some cases, those that fled the scene were responsible for serious injuries or even death. The “last straw” was in 2012, when Aaron Cohen, a 31 year old cyclist, was struck in central Florida, in February, and died. Most drivers are intimidated by big rigs being next to them on the road and rightfully so. Tractor-trailers are enormous when compared to conventional cars, trucks, and even SUVs. As if their sheer size is not enough to cause people to feel threatened, the eighteen-wheelers are also loaded down with heavy cargo, freight, logs, and more. This added weight makes it harder for the vehicles to stop, and when traffic abruptly comes to a halt in front of them, stopping is nearly impossible. As if the pain and suffering were not enough after an auto accident, money woes also become an issue. On many occasions, the injured party cannot work due to the wounds, which makes paying for things like rent, groceries, and lights nearly impossible. Plus, recovering from car crash damages is not cheap. Victims regularly have to pay for doctors appointments, emergency room visits, physical therapist meetings, and prescriptions. What Documents Do I Need After A Car Accident? After a car accident, there will be a lot of paperwork you need to gather to prove any damages. When you pursue compensation for your losses, your award will be determined by your ability to prove your claims. 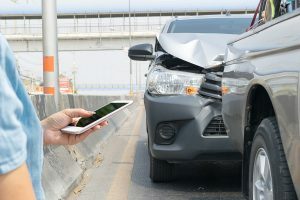 This requires evidence of the accident, your injuries, and the connection between the two. The best evidence is documentation of all the events following the accident from medical visits to lost income to vehicle damage. Here is a list of the documents that you should gather after your car accident so you can prove your damages. 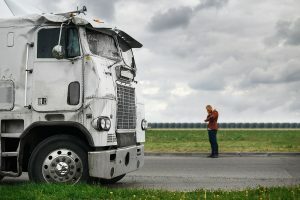 Most people do not fully comprehend the consequences of trucking accidents unless they are first-responders on the scene or directly involved in the incident. Tractor trailers are massive pieces of equipment that are designed to transport heavy loads from one location to the next. Operators spend numerous hours behind the wheel, driving through different types of conditions, and one wrong move is all it takes for a crash to occur. There are laws in effect, which require the big rig drivers to keep track of their working hours and off time, but still, spending so much time traveling from here to there is enough to make anyone tired. Once you've taken care of emergency related injuries and made sure that your physical health is where it should be, the next step for your recovery after an auto accident will likely be to talk to a skilled auto accident attorney. While medical professionals will help you with your physical recovery, your lawyer will ensure that you are able to make a full financial recovery as well. 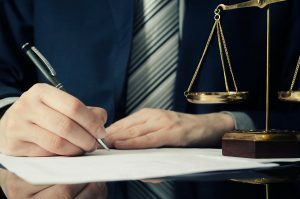 There are plenty of reasons for visiting an attorney, but the main one is simple - it's the best way to ensure that your case is resolved as best as it possibly can be and that you receive the maximum amount of compensation for your injuries. Plus, your attorney takes care of the hard work for you so you are able to focus on physically healing without worry about the stresses that can come from a seeking restitution on your own. The world of catching-a-ride has come a long way since the first yellow taxicab. 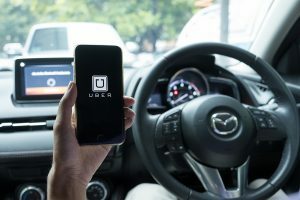 With the implementation of ride sharing companies like Uber and Lyft, people everywhere are more comfortable letting someone else take over the driving duties. 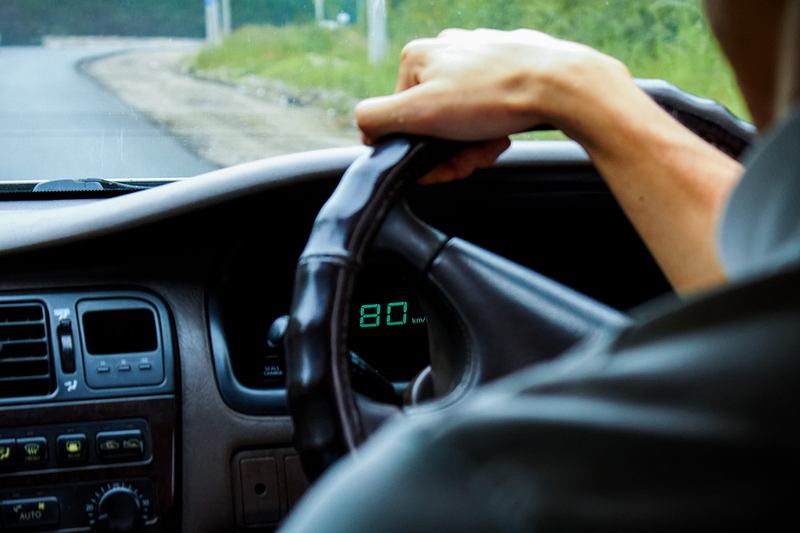 When anyone gets behind the wheel of a motor vehicle, there is always a chance that an accident can occur. What keeps these chances low is the ability of the driver to concentrate on the task at hand without distractions, follow the rules of the road, and use safety precautions at all times. Those who drive for Uber and Lyft are no different than the rest of the vehicle-operating population. They receive no special training or equipment; they use their own vehicles to take people from point A to point B. The problem is, you never know how “good” a driver they are until you get in the car. The entire United States relies on tractor-trailers to transport goods to stores and keep the economy flourishing. They are essential for putting items on the shelves and making them readily available for consumers to purchase. These vehicles are so important that many companies are even trying out self-driving trucks. The verdict is still out on these devices because it is too early in the testing phase to determine if they are 100-percent safe. However, until we get to the point where everyone is getting chauffeured around, humans remain in control. 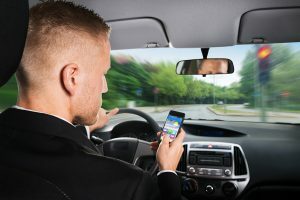 Distracted driving should never occur, regardless of what a person is operating, whether that is a car, truck, SUV, motorcycle, or eighteen wheeler. Unfortunately, distractions do happen, and they are often the cause of wrecks. Automotive accidents happen anytime, any place, and anywhere. Unfortunately, there is no way to predict the events, hence the name accident. 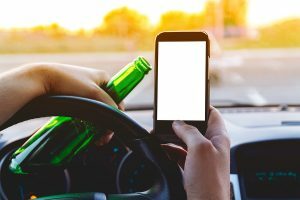 Distracted driving plays a significant role in car crashes, and the actions include things like texting, eating, or just not paying attention. Motor vehicle operators do not always understand the dangers posed to them by these massive pieces of machinery. 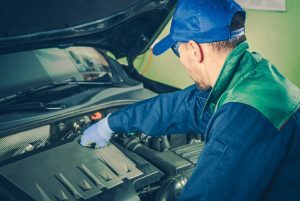 Owners naturally expect their cars to be safe, which they should, but on some occasions, malfunctioning pieces of equipment cause the automobiles to become less than trustworthy. Thanks to the Takata corporation being all over the news, almost everyone that has not been hiding under a rock knows the consequences of faulty airbags. The canisters of these devices break apart upon inflation, and shrapnel is sent flying throughout the vehicle's cabin. These pieces cause damages like lacerations and even wrongful deaths. There are not a whole lot of certainties in life. We expect to wake up each morning, stick to our regular routines, and come back home again without a hitch. However, the world is always throwing obstacles at humanity. Earthquakes, typhoons, hurricanes, tornadoes, and other natural disasters seem to be occurring more and more often. Still, these incidents don't take place every day, but injuries from car crashes, negligent acts by property owners, and wrongful deaths for various reasons do. Many times, these incidents are unavoidable, and people must just chalk them up to life experiences. 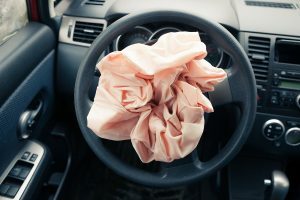 On other occasions, with only proper care and maintenance to personal property, the accidents are preventable. As Americans, we are used to sharing our roads with big trucks. They transport goods from one location to the next, while driving through snow, rain, and on some days, sunny conditions. Failing to have these deliveries would put our economy in a state of chaos and confusion. However, these vehicles are huge, especially when compared to an ordinary car, truck, or van, and being involved in an accident with an eighteen-wheeler can have a terrible effect on one's overall way of life. Aside from the physical ailments like broken bones, lacerations, and burns, a person can become affected mentally by the crash as well. The incident may lead to drivers being fearful of getting behind the wheel again, or it might cause them to have panic attacks after only seeing a tractor-trailer. There are not many feelings better than those gained from soaking in the Florida sun poolside. Many residents in our great state invest in a backyard oasis or hot tub. They can go for a swim at a moment's notice, which helps them stay in shape, but soaking in the water also reduces stress and anxiety. 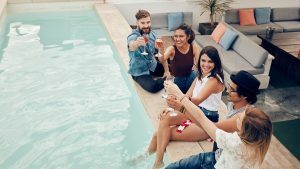 Perhaps one of the most significant benefits of pool ownership is being able to host barbecues and parties though. 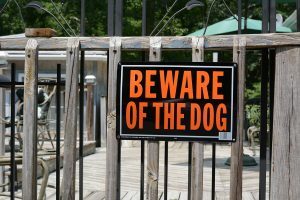 Premises liability basically means that the homeowner is responsible for accidents that occur on their property. So, before getting too far ahead of yourself with the fun and excitement, take the time to check for dangers that could put guests in harm's way. Why Would You Need To Hire An Attorney? If you have a good attorney on your side, they can add valuable protection for you, especially if you are a business owner. 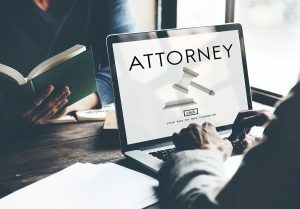 A good attorney provides an individual with several benefits and can help protect you from any future legal complications that may arise for a number of different reasons including accidents, workers compensation cases, personal injury cases, and even social security disability, and wrongful death cases. 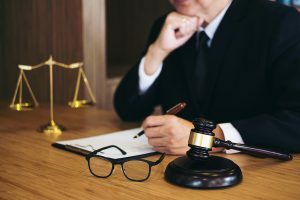 While there are many good reasons to hire an attorney, we will highlight a few of them right here to help you decide whether or not you should hire an attorney. Having an attorney can help protect you against many different kinds of lawsuits. They can help reduce any charges and can offer a proactive advantage for the case even before real legal proceedings have begun. Lawyers can also help mitigate damages. Mitigating damages simply means to take action to avoid or reduce the amount of the damages. It will help reduce any loss you may experience due to the allegations of a wrongful act. 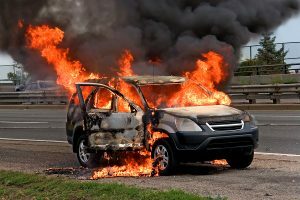 Every once in awhile you may be faced with a safety recall that affects your vehicle. If you find this to be true of your vehicle, it is important that you contact the manufacturer immediately in order to receive the proper repairs to maintain the safety of your vehicle. Even if you are not the original owner of the vehicle, you will still qualify for the recall repairs. The statute of limitations regarding no-charge recalls is eight years from the original sale date. Recalls are considered safety issues, and if not addressed they can cause personal injury or other accidents to occur. Therefore, the recall repairs are free of charge. To find out if there are any recalls on your vehicle, you should visit the National Highway Traffic Safety Administration’s recall portal to receive updates and valuable information regarding current vehicle recalls. A recall is placed on a vehicle when the manufacturer has determined that a defective component may potentially cause harm and injury to the occupants. Some common auto recalls include the tires and the airbags of the vehicle. 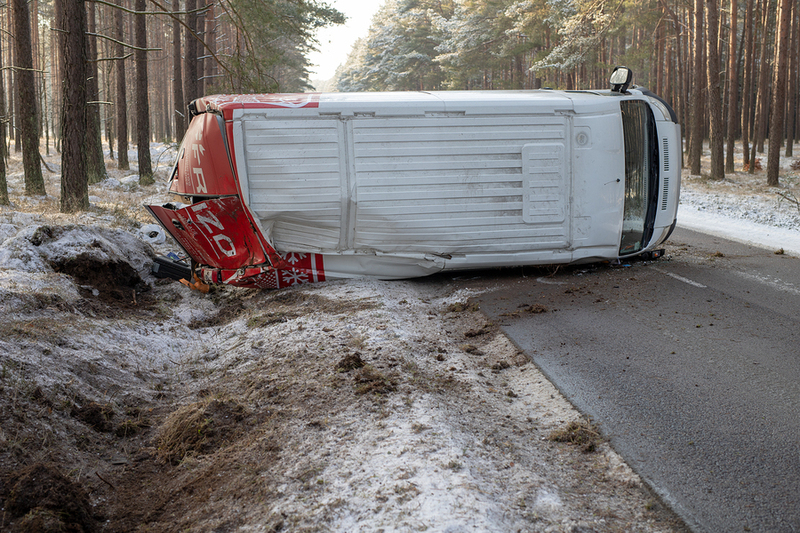 What Makes A Commercial Truck Accident Different? There are millions of reported auto accidents every year and added together they cause millions of injuries, hundreds of thousands of hospital stays, and kill tens of thousands of unfortunate Americans annually. But not every car crash is the same. Some are just minor dents picked up in parking lots, while others are highway crashes where the high speeds result in some major damage. Others involve some seriously heavy vehicles like commercial trucks, vans, and semis. If a normal car collides with the side of a semi, the car will always come out in worse shape. 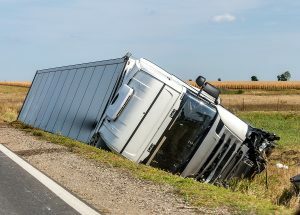 Commercial truck accidents have some very real differences from ordinary auto accidents, and those differences are worth considering. In April of 2016, in the Pennsylvania township of Salem, a 30 inch natural gas transmission exploded. 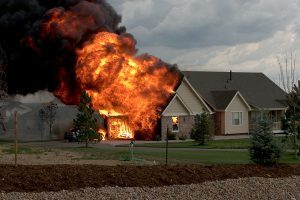 Because this was gas, the explosion immediately resulted in a conflagration of the gas that was in the pipeline and that fire spread, eventually sending fireballs flying through the area. One home that was, unfortunately, near the explosion, was burned to the ground, a newlywed living in the house barely escaped with his life, and at the cost of severe burns. It was a sobering reminder to everyone that natural gas, while extremely useful in a number of different ways, is still a volatile substance. And when it’s not handled correctly, or its power is not respected, it can result in massive damage that may injure people or even take lives. Can You Seek Compensation For Your Accident Related Injuries? Being involved in an accident is something that has a tremendous impact on your life - and not for the better. Each year, millions are wounded due to an accident and while the majority of these will thankfully be minor, some are much more serious. If you've been involved in an accident, your physical health is only one aspect of your recovery. You also need to be able to manage your finances - and the high costs of medical care combined with lost wages if you miss work because of your injuries it's often very difficult to make that full recovery. If your accident was caused by the actions of someone else, there's a good chance that you can seek financial compensation for your injuries. This isn't always the case, but with the help of a personal accident attorney in Florida, you may be able to file a personal injury claim and get the restitution that you need. 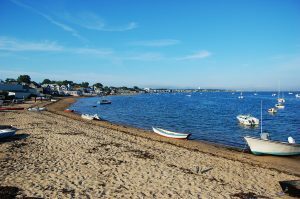 What Are Your Rights After A Boating Accident? No matter the time of year, Florida enjoys wonderful weather that is perfect for heading out on the water. But boats do carry some measure of risk with them, and if you're injured in a boating accident it's important to remember that you do still have a number of rights. Chief among them is that if your injuries were caused as a result of the reckless or negligent actions of another, you may be able to seek financial compensation for your injuries. A personal injury boating accident case could be filed and lead to you receiving significant financial restitution for your injuries - or at least receiving the money you need to get your finances back on track and focus on your physical recovery instead of your financial one. There are just a few things to understand regarding boating accident cases. 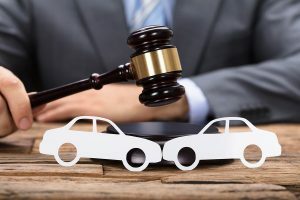 Luckily, they're so similar to auto accident personal injury cases that it's fairly straightforward to gain a basic comprehension of the subject. Accidents happen every day. With a bit of luck, you'll be able to avoid being involved. But if the unthinkable happens and you or someone you love is involved in an accident, you need to be able to take the right steps to lead to your recovery. However, with a trucking accident, it can be more difficult than normal to do so. When you're injured in an accident, your health should be your first priority. Recovering physically and mentally can take time, and you need to give it your utmost attention. But while focusing on that physical recovery, you may also have other challenges that you face. In particular, the heavy financial burden that comes from an accident could make it harder to give your health your total attention. A good Florida personal injury lawyer can help with this and will be instrumental in helping you alleviate the financial burden and get your life back on track. Things like medical costs and lost wages from work can lead to major financial distress, and your Florida accident attorney can help you get the money that you really deserve. Florida is one of the best states to live in the entire continental USA if you’re a fan of boating. The southernmost state of the nation combines year round warm, sunny weather with a coastline that surrounds most of the state. This makes it very easy for people who love seafaring trips to hop into a vessel of their own and just hit the water. Unfortunately, with any numerical increase in boats out on the water, so too do the chances of an accident involving boast also rise. In some cases, a boating accident is just like a car accident on land, and two vessels come into contact with each other, causing both injury and damage to the boats. In other cases, however, there doesn’t have to be another water craft present for things to go wrong. This was discovered tragically, earlier in the year. 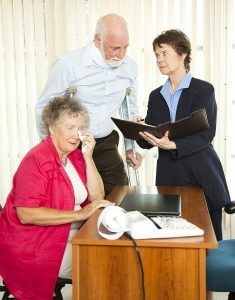 Do You Need Help With Social Security? The United States is a nation that has been built on trying to be as fair to everyone as possible. This is a country that makes a straight up “deal” with its citizens, where the work you put in, the persistence you hold to the pursuit of a dream, and the rewards you claim at the end are all possible with enough effort. But this is also a nation that recognizes that sometimes unfair things will happen to people through no fault of their own. In many cases, we have measures in place to help people to overcome these hardships that they encounter. With millions of people living within the state of Florida, it makes sense that accidents would occur everyday. And while most of these - and most of those that lead to significant injuries - are related to auto accidents, there are also many injuries caused by slip and fall accidents. Often called premises liability cases, slip and fall cases are those that involve injuries sustained while on the property of someone else. Generally, this will be a public location such as a store, parking lot, or even theme park. However, it can also be the private residence of someone else in some instances. 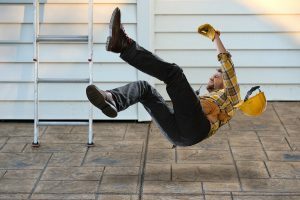 While these types of accidents vary greatly from incident to incident, the one thing that all slip and fall injury cases have in common is that there are numerous very significant challenges for those who are trying to seek financial compensation for their injuries. Being involved in any kind of accident is a terrible event that can lead to major upheaval in your life. Recovery isn't easy and often involves mental, physical, and financial steps back to where you were before the accident - if you ever reach that place. Trucking accidents are even more serious. The heavier mass of the trucks and the high impact that they can cause means that issues like death, paralysis, traumatic brain injury, and other serious injuries are far more likely to occur. 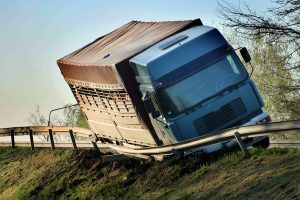 Beyond the serious injuries, there are also numerous other factors related to a trucking accident that needs to be considered. One thing that will need to be given attention is that of fault. 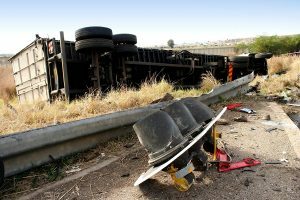 Those who are injured in an accident involving a truck need to understand a number of things including how fault works in Florida trucking accidents, who can be held responsible, and how to go about getting the compensation that you deserve. Few injuries are as serious or potentially life-altering as a traumatic brain injury. 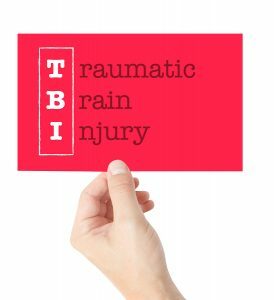 Sometimes called TBI for short or just 'brain injury', a traumatic brain injury is just what it sounds like - damage done to the brain that was caused by the outright trauma of any kind. And these are just the physical factors. When you consider the financial costs that can come with them - medical bills, lost wages, and more - it becomes clear that getting help following an accident that causes a traumatic brain injury is important for anyone. Traumatic brain injury personal injury cases are similar in some respects to other types of personal injury law, only much more serious due to the more serious nature of the injuries themselves. Florida is a beautiful state, one filled with plenty of scenic beauty and activities that allow residents and visitors to experience it in new and exciting ways. A perfect example of this is the numerous boating opportunities throughout the state. With hundreds of miles of coast, rivers, lakes, and even swamps to explore, boating adventures abound here. But what happens when you're involved in a boating accident? It can lead to serious injury and even death in some instances, and in many cases will cause your life to be thrown into chaos. 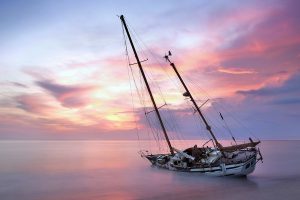 Speaking with a professional boating accident attorney will be the key to protecting your finances and your overall stability following these kinds of accidents, but there are still some things worth knowing. Being involved in an accident can lead to major injuries and have a negative impact not only on your physical health but your mental and emotional well-being. Another issue that can arise after an accident is financial in nature. In short, an accident can put you in serious financial hardship due to lost wages, medical bills, and more. A good Florida personal injury lawyer can help immensely when you've been injured in any kind of accident. Those who've been hurt may have the grounds to seek financial compensation for their injuries, but it's not easy to go about doing so on your own. Because of the complexities involved in the situation, having help from a professional is important. Here are some of the primary reasons that getting a good accident lawyer is such a good idea. When you're involved in an accident, it can create a hectic, confusing, and stressful period of your life. 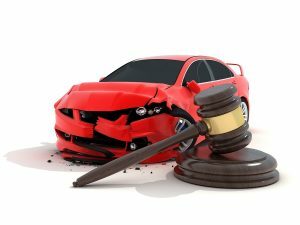 The minutes following an accident all the way up to months down the road are all important, and for those involved in an accident of any kind there are several steps that need to be taken in order to ensure that you are able to move towards the best recovery and get the kind of financial compensation that you are owed. With that in mind, it is well worth taking a look at some of the key things anyone should remember following an accident. Obviously, you need to seek medical attention when you've been injured in an accident. But once that you've made sure you aren't in a medical emergency, there are other steps to remember as well. Here are five of the main things to keep in mind. When you are severely injured in a car accident, it can cost a lot of money. Between medical bills, prescriptions, and rehabilitation, your bills can stack up. Another source of economic hardship can also come from missing work. If your car accident injury is so severe you cannot go to work or perform your job normally, you may have a claim for lost wages. What Are Lost Wages Damages? Lost wages damages are money paid in the place of any wages you would have earned from your employer from the time of the settlement to your recovery while you were injured. Lost wages are different than lost earning capacity which are damages paid out when an injury has left you disabled and unable to work. They are also different than lost compensation which is wages plus any benefits such as retirement pay or bonuses you would have earned if you were not injured. An injury attorney will help you determine which kind of wages claim you should make depending on the severity of your injuries. Being able to stay safe on Florida roads is important, and with millions of people living in the state as well as visiting it on a regular basis it can be difficult to do. Sometimes, no matter how much we try, accidents will happen. But when you're involved in an accident that was caused by someone else, it can be incredibly frustrating. Not only will you have to physically recover, but the mental and emotional stress can take a toll as well. And when you have large medical bills as a result of the accident, it's even more difficult to make a full recovery. One of the biggest risks to drivers today is distracted driving, especially that which is caused by cell phone use. Mobile device use causes over 1.5 million traffic accidents every single year, and more than 330,000 of those accidents lead to major injuries or death. It's a growing problem, and something that isn't often given the attention it deserves. Trucking accidents are far too common in modern times. Careless and reckless acts by these drivers can put everyone in the immediate area in danger. 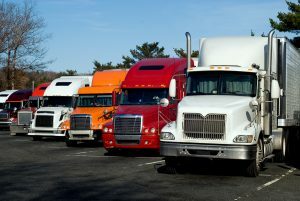 It is important to note that it is not always the truck driver’s fault, but when it is, you should definitely lawyer up. There are a variety of benefits available to you when you use our services that can help you get the compensation that you deserve. 1. Using a proven and reputable law firm can help you protect your future finances. When you're injured in an accident in Florida, it can throw your life into chaos in an instant. Injuries can lead to major medical bills, lost time from work that will impact your income, and more. Those who suffer serious injuries may even impact your mental wellbeing, making it harder to fully recover. Making a full recovery often means being able to get your finances in row, then turning to your physical and mental health. After an accident of any kind, it's well worth finding a personal injury lawyer to help you fight for the compensation that you deserve. Here are some of the main reasons to seek help from a professional personal injury law firm. They Help You Know What To Expect - Sometimes you may simply not have the right to seek compensation, or may have limited possibilities. No matter the situation, an attorney will explain to you what your options are and then tell you what to expect from the process of seeking compensation. 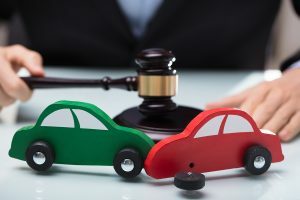 In a typical personal injury case, especially the type that involves negligence on the part of another driver, or company, the goal is straightforward. Someone else is at fault for the injury that you or a family member or friend has suffered. 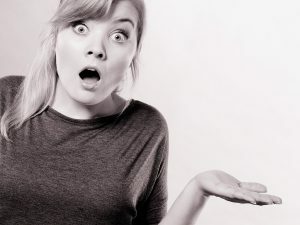 Because someone else is at fault, the goal of the personal injury lawsuit is to prove that fault to a jury, so that the jury can discuss the matter and eventually arrive at a verdict stating that the person accused is at fault, or “liable,” and thus has to pay whatever damages are being sued for. Of course, while there are some cases that are as simple as this, we live in a “gray” world where things aren’t always so clear cut. In some cases, the party being sued may be at fault, but they may not share 100% of the blame. In these cases, a counter-suit may be launched, which attempts to prove that it’s not just one person that is completely responsible for the injury. In situations like this, we have what is known as contributory negligence. Laws are in place for a reason. They keep us safe and give us guidelines about what is acceptable in society. However, some Florida laws will leave you scratching your head. They are so strange that it makes you wonder how they ever became laws in the first place. It is very important to remember that no matter how ridiculous they may seem, they are still enforceable laws and should be followed. If you are an unmarried skydiving enthusiast, who happens to be a female, do not attempt to skydive on a Sunday. This seems to take marriage and sacred vows to a whole new level. Unmarried women that are caught committing this weird crime can face jail time and/or fines. There is no need to run out and get married, simply remain aware of the law, and if you do not agree with it, contact your state representatives to voice your opinion. A premises liability lawsuit can become a reality if a slip and fall accident were to occur on your property. There are a variety of other reasons this type of lawsuit can be filed against you as well, including any kind of injury that results from a negligent and unsafe condition. There are certain precautions that can be taken to help avoid unwanted accidents or at least reduce the instances of them occurring. Negligence seems like a pretty straightforward concept to grasp but the legal system is always here to make it a bit more complicated but for clarifying reasons. Law practice is intricate and detailed because the human condition is not an easy one to regulate. Negligence in the justice system can be defined as failure to take reasonable care that results in injury or damage to another person or property. Fault in legal cases is not always 100% clear on who is the person at fault or what is at fault. This is where comparative negligence gets the game ball, it is designed to help in these situations. There is nothing like getting some warm sun out on the boat. Whether you are hoping to catch some fish or just want to relax on the water, Florida has everything a boat lover could want. However before you hop in, there are a few safety items you don’t want to forget on your next trip. Even if you are a team of expert swimmers, every person on the boat needs to have a Coast Guard approved life jacket that fits them properly. All your boat passengers don’t have to wear them, but they all need to know where they are located on the boat. If an accident happens on the boat, you could be miles away from any kind of medical help. Thankfully, with a first aid kit handy you can be prepared for anything that might happen. There is nothing quite like being out on the boat in the warm Florida weather. The bright sunshine on your skin and that wonderful sea breeze. As great as it is, taking a nice ride on the water can also be dangerous if you aren’t careful. When you run out of gas on the highway it isn’t such a big deal. You can just call AAA or a friend to come rescue you. Even when you are on the water, you can usually call a towing agency to bring you the fuel you need. However, if you happen to run out while in the Gulf Stream or in the middle of an unexpected storm, you could be in big trouble. Typically, grounding your boat is only embarrassing rather than life threatening. Whether poor judgement or someone distracted you when you were pulling in, it is a pretty common and often innocent mistake to make. However, it isn’t the grounding that hurts you, but the sudden stop that lurches everyone forward. While Florida is typically known for its sunny weather, it isn’t all sunshine here. In fact, you may find yourself having to drive through strong winds and heavy rain sometimes. Traveling in that kind of weather can be downright scary. Anticipate gusts – When the weather report predicts severe weather or are in areas that are prone to strong winds, take extra caution while driving. Be aware of larger vehicles – During high winds, keep an eye out for larger vehicles, such as tractor trailers and recreational vehicles. These tend to be more susceptible to high winds and can make it hard for the drivers to stay in their lanes. When you have suffered a serious work-related injury or illness, it is typically a good idea to have a lawyer around to help you through the workers’ compensation process. Since workers’ compensation law is complicated and highly specialized, it is best for clients to find an attorney with an expertise in the subject rather than someone who just dabbles in it. However, it isn’t always so easy to distinguish a workers’ compensation expert from the dabblers. You hear the commercials and see the ads, but they often have more style than actual substance. While it can take some extra effort to find the right lawyer for your needs, it can make all the difference in the success of your case. The best workers’ compensation lawyers often don’t need to do any advertising and instead rely on word of mouth and referrals. So when looking for an attorney, start asking around. Ask friends, family, and colleagues for recommendations. You might also be able to contact state and local bar associations and legal aid offices for referrals as well. At times it almost seems as if parking lots were made for car accidents. 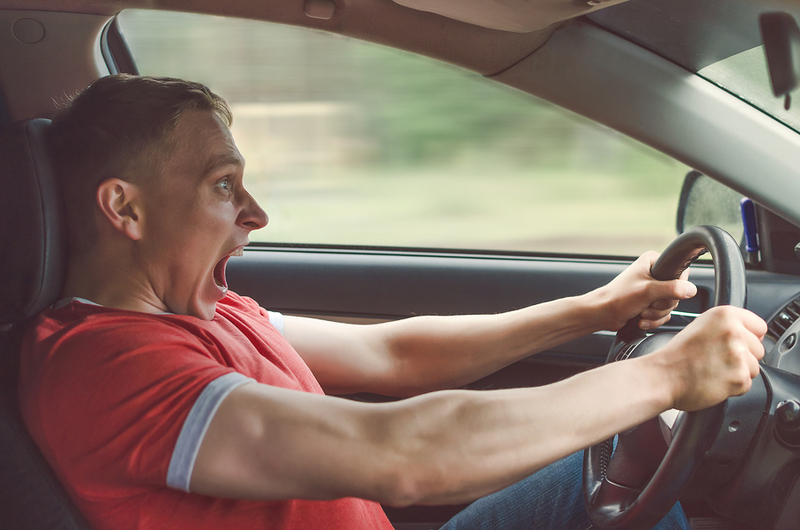 Whether you have two drivers vying for the same spot or find yourself distracted by people walking around while you are pulling out, there is plenty of things to watch out for on your way to the grocery store. Although parking lot accidents are common, they are typically low speed collisions with minimal damages or injuries to worry about. Still, it doesn’t mean you should take this kind of car accident lightly either. Pull the vehicles out of the way and into a safe location. If you are unable to move your car, put on the emergency flashers and exit when it is safe to do so. Immediately call for medical assistance if anyone is injured. Like in most states, Florida treats ‘pain and suffering’ as a legal term for any physical or emotional distress caused by an injury. Whether you have lived here all your life or just like to vacation in the Sunshine State, there are a few things you should know about how Florida courts treat pain and suffering. When there is a claim for damages after an accident, there are typically two types of damages that need to be considered: economic (aka special) and non-economic (aka general). Economic damages refer to the actual monetary costs of an injury, such as medical bills and lost wages. However, non-economic damages is more abstract and harder to estimate, such as current and future pain and suffering as a result of your accident. A couple examples of this kind of injury are depression, anxiety, PTSD, and insomnia. How Are Pain And Suffering Damages Measured in Florida? Does This Crash Call For A Car Accident Lawyer? They are all too common, which is why they are so confusing. Auto accidents happen everyday, right in front of us and it could very easily be you at any point. If you have been in one of any severity you know there are immediately a lot of options and therefore questions. Am I injured? Do I report the accident to the police? Do I report it to my insurance? What information do I need from the other driver? Are there injuries after the fact? These are all things going through your mind before the legal troubles even come into play. There are varying degrees of car accidents and varying degrees of legal action needed to deal with car accidents. As you are probably aware by now, the holiday season is among us! This joyous time of the year allows us to spend time and celebrate life with distant relatives and friends. On the other hand, the holiday season can also bring about a lot of stress and problems. People are always running around last minute trying to buy gifts for relatives, or driving long distances to visit family out of state. The abundance of alcohol at holiday gatherings can also pose problems for people trying to get home at night. All in all, the holiday season brings about increased driving risks for people all over the country. In order to keep yourself, your family, and others safe this holiday season, here are a few preventative measures that our team of car crash lawyers suggest that you take before getting on the road. Being involved in an accident can lead to a long recovery. For those who aren’t responsible for the accident, seeking financial compensation is the key to ensuring that they aren’t left struggling to pay for medical costs that aren’t their fault. However, one of the most common mistakes that can be made where financial restitution following an accident is concerned is to fail to fully understand the cash settlement that you may be offered. While having a good accident lawyer on your side is the key to making sure that you receive the kind of settlement you deserve, it’s also important that you take some time to understand the basics of personal injury settlements. 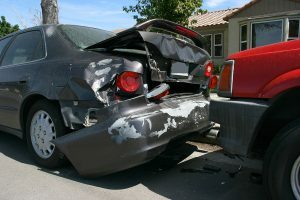 Essentially, a settlement is where the two parties involved in the accident agree to settle their dispute out of court. 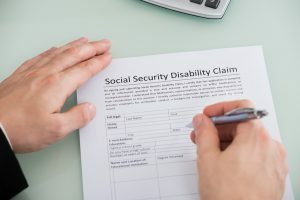 In the case of personal injury, it generally involves the party who was injured agreeing to accept a lump sum of money from the responsible party in exchange for dropping any further litigation. There are plenty of misconceptions out there about personal injury law and in particular about personal injury lawyers. While they can get painted by the media as being a lot of things, the reality is that today’s accident lawyers really do help those who have been injured in an accident. Whether it’s from an auto crash, a workplace injury, or a slip and fall accident, injuries sustained during an accident can leave a huge impact on your life and make it hard to move forwards and heal. And the heavy financial costs that come along with many injuries mean that you can often find yourself focused more on the stress of money than on recovery. In short, a personal injury lawyer matters in a big way. Here are some of the key things to understand about what a personal injury accident attorney does for those involved in accidents. When you’re involved in an auto accident, it can put your entire life into chaos. Recovering from your physical and mental injuries can be a challenge, and it’s even more difficult when you consider the financial burden accidents can place on you. That’s why seeking compensation for injuries if your accident was caused by someone else is so important. But if you’re involved in an accident with a commercial truck, things can become even more complex. There are numerous aspects to this that need to be considered, and understanding the basics is a key first step in making sure that you know what to expect. Just the question of fault and proving it will be more complex in trucking accidents. Let’s look at some of these complexities now. Sadly, the sheer number of people driving on Florida roads means that every day, accidents occur throughout the state. Luckily, the majority of these accidents are relatively minor. 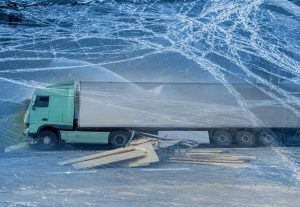 However, there are major accidents that occur regularly as well, and one of the most dangerous types of accidents is one involving semi-trucks. Understanding more about the subject and what steps you can take afterwards is important for anyone, and could help you if you find yourself involved in one of these accidents. Being involved in an accident is never fun, and when you’re injured it can be even more difficult to move your life forwards – especially when medical bills and lost wages from work keep piling up. That’s why it’s so important to understand the specifics of auto accidents and try to move past the various myths surrounding them. If you’ve been involved in an accident, these myths can make it harder to receive the compensation that you deserve and to move your life forwards afterwards. That’s why it’s so important to do a bit of myth busting and get the truth about auto accident related issues. With that in mind, let’s look at some of the big myths and the actual truth behind them. When you’re injured in an accident, seeking financial compensation is something that may need to occur. Injuries take time to physically recover from, and mental scars can be just as tough to heal. But when your accident places you in a financial hardship it becomes even harder to overcome your injuries. That’s why seeking restitution for your injuries is so important – if someone else was responsible for your accident, you shouldn’t have to suffer financially because of it. 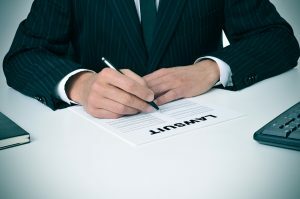 And in the world of personal injury law, one of the most important things to understand is the out of court settlement. Essentially, an out of court settlement is nothing more than the responsible party offering you a lump sum of money to cover your costs in exchange for you no longer pursuing legal action against them. It’s actually how most personal injury cases come to a conclusion, and can help save you a tremendous amount of time and stress by expediting your outcome. 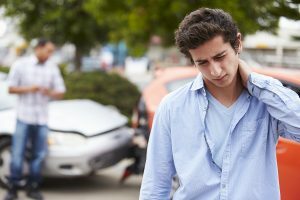 When most people think of the aftermath of an automobile accident, they think of a wide range of different issues that have to be managed. Physical healing of injuries is obviously the first and most important part of the recovery process, and the emotional or mental healing can take much effort as well. But what many don’t realize until they are dealing with it for themselves is that recovering after an accident also often involves a financial recovery period that can make the process of moving on with your life even more difficult. Consider some of the different ways that an accident can impact your financial health to see what we mean here. Medical bills can pile up quickly, and the initial medical costs are only the beginning. Long term medication and physical therapy costs become more and more expensive. Every year there are an average of 3,500 accidents in Florida involving semi-trucks. Since semi-trucks can weigh up to 150,000 pounds, these accidents are often debilitating. Insurance companies know how costly and dangerous these accidents can be, so they often make it extremely difficult for the victims to get fair compensation for their injuries and losses. If you are filing a claim after a trucking accident, you can run into some serious roadblocks from the insurance companies. So it is important you are prepared for these and have a strategy to get the money you are owed. The best thing to a bicyclist can do is to avoid an accident in the first place by exercising proper bicycle safety. You should always wear protective gear like helmets and good shoes. Also, make sure your bicycle is properly maintained so that you don’t have an accident because of a mechanical malfunction. Then, while on the road, make sure you are always visible, ride defensively, and stay alert. If you ride safely you are much less likely to be in an accident. Whether you own an organization that relies on volunteers, or you volunteer your time to a cause, it is important that you understand how worker’s compensation applies to volunteers. Most people assume that since volunteers are not full time employees, they are working at their own risk. However, there are certain cases where volunteers are eligible for worker’s compensation. Here is a rundown of how worker’s compensation applies to volunteers in the state of Florida. It is no surprise why Florida is called “the sunshine state” with its wonderfully mild and mostly pleasant weather. However, this means that throughout the year from summer vacation to the winter holidays, there are an abundance of visitors and tourists that are enjoying the weather with us. While there is certainly plenty of ‘sunshine’ to go around, the increase of visitors also means an increase of drivers on the road and accidents. At times it may just be a little fender bender with someone visiting out of state, but other times it can be a much more drastic change like when a British tourist forgets to switch sides while driving and accidentally crashes into another driver. In most car accidents, there are a lot of factors that will need to be looked into before deciding whether or not to go to court. However, what do you do if the other driver isn’t from Florida or even from America for that matter? The dangers of drowsy driving do not receive nearly enough attention as it deserves. Mostly, because it often goes unreported and is much more difficult to pinpoint as a cause or factor in car accidents compared to factors like speeding or alcohol. However, the National Highway Transportation Safety Administration estimates that drowsy driving may contribute to more than 100,000 accidents per year. Though the NHTSA believes even that number is probably lower than is true. According to the National Sleep Foundation’s Sleep in America poll, it was found that 60 percent of Americans have driven despite feeling sleepy and 37 percent have even admitted to falling asleep at the wheel within the past year. There is even a chance that the numbers are higher since many people are unable to tell whether they are about to fall asleep or have fallen asleep. Florida has the fifth highest rate of uninsured drivers in the United States. It is estimated that 23% of all Florida drivers do not carry car insurance. So what happens when you are hit by one of these drivers? How are you protected when they don’t have insurance? We’ve put together a guide of what to do if you’ve been hit by an uninsured motorist so that you, your family, and your assets are protected. Why Are There So Many Uninsured Drivers? Summer is coming, and in Florida, that means road construction season. So it’s a great time to refresh your driver safety before hitting the roads. If you follow these basic safety tips then you can avoid getting into an accident in a construction zone. Determining fault in a car accident is a crucial factor in determining the validity of an insurance claim. In Florida, you legally have to establish fault by proving the other party acted in a negligent way. Florida is also a comparative fault state, which means that if you were in anyway at fault, even a small percentage, the value of your claim will be reduced by that percentage. 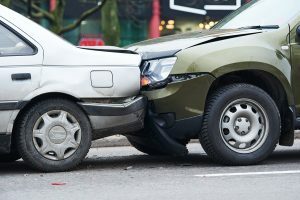 Therefore when pursuing a claim on an automobile accident in Florida, it is essential to prove who is at fault so you can get the full value of your claim. Distracted driving is a serious problem in the state of Florida. 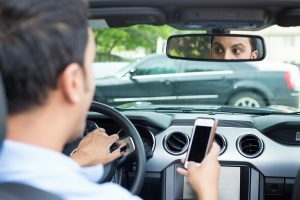 Florida has the highest number of accidents caused by distracted drivers. Last year alone there were 45,000 crashes from distracted drivers. These crashes lead to 39,000 injuries and 214 people were killed. Distracted driver is deadly and should be avoided at all costs. ●	Manual: Manual distracted driving is when a driver takes their hands off the wheel to do something else. ●	Visual: Visual distracted driving is when a driver stops looking at the road and instead looks at something else. ●	Cognitive: Cognitive distracted driving is when a driver takes their mind off the road and starts thinking about something other than driving. Distracted driving endangers the lives of the driver, the passengers, and the people on the road including other drivers and passengers, cyclists, and pedestrians. Who Is Guilty Of Distracted Driving? In 2003, Florida overhauled their worker’s compensation laws in order to to reduce the increasing rates of worker’s compensation insurance. However, this year the Florida Supreme Court is hearing three cases that challenge the 2003 laws concerning Florida’s worker’s compensation. These cases are major and could potentially have far-reaching consequences. Here is a brief summary of each of the main cases being heard. When you file a personal injury claim, the amount of money you will be awarded will be determined by several factors. These factors are defined as either pecuniary or nonpecuniary and the total amount given for each will be determine by a judge or jury depending on your case. 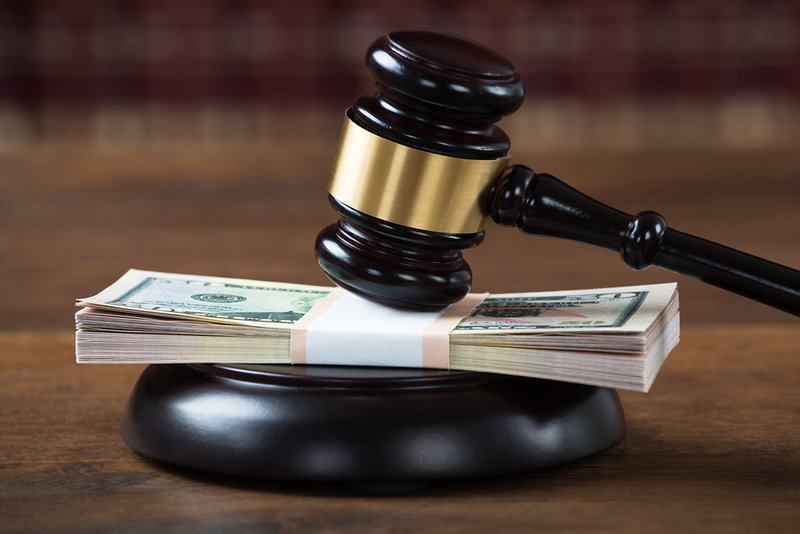 Once you’ve begun the legal process, it is important to understand these two different types of damages so you can get the money that you deserve. When you’re injured in an accident, it’s important that you not only find the right medical professional to care for your physical and mental injuries, but also that you find the best legal professional to help you with the injuries done to your finances. Financial hardships can easily occur as a result of accidental injuries, and when that accident was caused through the reckless or negligent behavior of another person, it’s clear that you need to consider finding the right attorney for your situation. There are a lot of personal injury attorneys out there, and it’s vital that you take the time to find the one that will work best for you. Luckily, remembering a few key things can help make it easier to do. Here are some of the top points to look at when finding your personal injury lawyer. Florida is one of the few states in America with a no-fault automobile insurance state. You’ve probably heard this before, but do you know what this really entails? The no-fault law guarantees your insurer pays you a limited sum of money, but there are situations where you may be entitled to more. If you don’t know the details of the law, you may be forgoing significant damages that an experienced personal injury lawyer could obtain for you. end inequitable recoveries under the traditional tort system. Since then, the law has undergone several revisions to get to its current iteration. When you’re on a boat in Florida, the rules are different than when you’re in a car on land. You’re still considered under the influence if your blood alcohol content is .08 or higher, but you’re much less likely to get stopped by a patrol and you’re allowed to have open containers within reach of the pilot. Underage drinking still isn’t permitted, but kids as young as 14 can helm a personal watercraft of any sort and only need a license for boats with 10 horsepower or more. However, just because the rules are different doesn’t mean the results won’t be the same if you get into an accident. A bad collision can cause an injury to just about anywhere on your body depending on what you hit, including a potentially hard-to-detect traumatic brain injury. 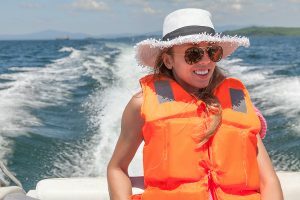 A collision can also cause significant damage to any boats involved or even sink them, and even with a proper flotation device there’s still some risk of drowning. What’s The Problem With The Assignment Of Benefits? “Assignment of benefits” is a practice with insurance claims in which a claimant will sign away some of his or her benefits directly to the person or organization who would wind up taking the money anyway. For instance, a person who’s just been through a flood will need a professional cleaning service and someone to repair the foundation, and with the ability to use an assignment of benefits the homeowner can essentially tell the contractors to contact their insurer directly for their money. The best reason for this approach is the fact that it cuts out a lot of the now-unnecessary back-and-forth communication. Without it, a contractor would need to inspect the condition of the home, provide an estimate for the needed work, and then wait for the homeowner to make his or her claim and then deliver the funds. 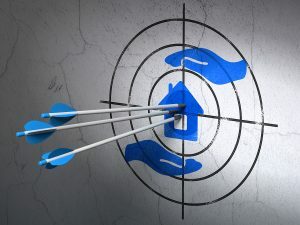 Instead of all that, the homeowner can sign an assignment of benefits release form which allows contractors to place their claims directly with the insurance company and then get straight to work. According to a recent Carfax report, no fewer than 47 million vehicles currently on US roads are in need of a recall repair. This number represents no fewer than one fifth of all American vehicles, and while many of them may represent “better safe than sorry” fixes that haven’t resulted in any accidents, it’s still enough of a problem that the Department of Transportation is starting up an awareness campaign. Part of the reason for this recent upswing in open recalls is the fact that the number of recalls period has spiked massively in recent years. Both 2014 and 2015 managed to more than double the previous record, logging right around 51 million recalls each (and on the bright side, this means that over half of the past two years of recalls have been successfully serviced). How Many Ways Can A Civil Case End? The vast majority of civil cases never make it to trial. 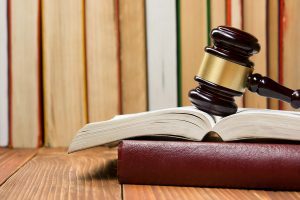 While that fact may be disappointing for those who love the courtroom drama shown in TV shows and movies, the issue is that seeing a court case all the way through to the end is an expensive prospect for both the prosecution and the defense. Even beyond the money problem, in most cases the facts are clear enough that there’s no need to let a jury decide what both sides can figure out without their help. There’s a common misconception held by the general public that a trial doesn’t happen unless the defendant is guilty (or at fault in civil cases) and thus when a case is ruled not guilty or not at fault it’s a miscarriage of justice. However, very few cases that make it to open court are so certain thanks to the variety of ways a case can resolve without getting that far, and ultimately the reason why courts exist in the first place is because the truth isn’t always certain. That particular phrase exists as part of the American court system because the alternative, “guilty until proven innocent,” was the established method in criminal cases held by British courts back before the Revolutionary War. And that phrase was more than just a different way to arrange the words – the change in philosophy has to do with who bears the burden of proof. 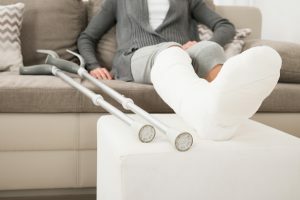 Often called “workers’ comp”, workers’ compensation is a state mandated program consisting of payments required by law to be made to an employee who is injured or disabled in connection with work. The federal government does offer its own workers’ compensation insurance for all federal employees, but individual states follow their own workers’ compensation insurance program. In the majority of situations, injured employees receive workers’ compensation no matter who is at fault. What Kinds Of Incidents Are And Are Not Covered By Workers’ Compensation? Unless you one of the lucky few, you have probably had an injury or two. From cuts to broken bones, injuries can come in several shapes and forms. A few of the injuries that is least talked about are dislocated and separated shoulders. Believe it or not, a dislocated shoulder and a separated shoulder are two distinct injuries that do have a few similarities here and there. This is an injury that is caused by a fall or a blow to the top of your arm bone that causes it to pop out of the shoulder socket. Unlike several other joints in your body, the shoulder is incredibly mobile. You can twist and more your upper arm in any direction, but this also makes the joint inherently unstable and prone to slipping out of place. In severe cases, the tissue and nerves around the shoulder joint get damaged. Anytime someone trips, slips, or falls, they are at risk of suffering a serious injury even if the fall occurs on even ground. However, when a fall involves a staircase, the potential injuries are all the more severe and life-threatening. According to the National Safety Council, more than 1 million individuals suffer injuries from falls on the stairs on an annual basis. 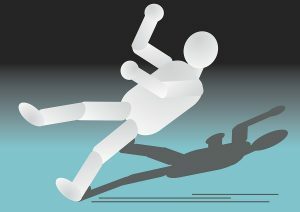 Furthermore, an estimated 12,000 of those fall victims do not survive their injuries. Generally, property owners are liable for any stair accidents in the same way that they are liable for any kind of slip and fall accident in general. However, stairs present a number of additional dangers that require special consideration. If you have recently been in a stair accident, here is how you can determine whether the property owner is at fault for your injuries. Accidents happen and when they do, it may be you that pays the price. Not only are these injuries physically painful, but they can also lead to emotional and financial hardships as well. From the medical bills to the emotional stress placed on your family, an accident can end up costing you a lot and may even put you in debt. We have a lot more experience dealing with the law and handling these kinds of cases. This will save you a lot of time and research trying to understand how these types of claims work. Not only that, but we will know exactly what kind of evidence and paperwork will work in your favor and which ones will end up hurting you in a claim. Post-traumatic stress disorder, also known as PTSD, happens after witnessing or going through a traumatic event involving injury or death. Though most of us think of soldiers when talking about PTSD, the majority of PTSD sufferers are actually victims or witnesses of car accidents. PTSD causes recurrent flashback episodes and nightmares that can disrupt every day activities. Some forms of PTSD including hyper-vigilance, extreme fear of the event recurring, a tendency to be easily startled, and anger or irritability. Unlike simple shock or stress, the body and brain chemistry can be altered with post-traumatic stress disorder. Those with this disorder will show high levels of catecholamine and a low level of cortisol in their urine and a decrease in the volume of the hippocampus, a part of the frontal lobe of the brain. Due to these changes in the brain and body, PSTD is a serious condition that can greatly effect an individual’s ability to function. Sleepiness and driving is quite a dangerous combination. Most people are aware of the dangers of drinking and driving, but don’t realize that drowsy driving can be just as fatal. Much like alcohol, sleepiness slows reaction time, decreases awareness, impairs judgment, and greatly increases your risk of crashing. According to a study by the National Sleep Foundation, 60 percent of adult drivers, about 168 million people, say they have driven a vehicle while feeling drowsy in the past year and 37 percent have even admitted to falling asleep at the wheel. If that wasn’t scary enough, 13 percent said they have done so at least once a month. 4 percent, around 11 million drivers, also admitted to having an accident or near-accident because they had dozed off or were too tired to drive properly. Insurance policies are a bit like gambling: you’re betting that something bad will happen to you at some point while you hold the policy, and the insurance company is betting that nothing will happen. Insurance companies spend a lot of money on actuarial tables to figure out the odds that something will happen to a certain demographic, and it sets its premiums carefully so that it will always make a profit. However, insurance companies don’t limit themselves to simply playing the odds. An insurance company’s biggest expense is (or at least should be) paying out claims, and as such fewer, smaller claims translate directly into more profit for the company. That’s why claims adjusters are constantly encouraged to reduce claim amounts by as much as they legally can. As such, you need to be very careful regarding what you say and do when you submit and wait for a claim. Brain injuries are hard to catch at the best of times, but at least there’s usually a specific instance you can point to that created the problem: a hard fall, a car accident, a nearby explosion. However, under the right circumstances, there’s one class of brain injury that can occur after nothing more serious than bumping a rafter or jerking your head back and forth suddenly. When you get older, into your 60s or 70s, your brain may start to shrink. This doesn’t mean you’re going senile, it just means that your brain is occupying less space. No one wants to think about what may happen in the event of a car crash, or other automobile accident, but when things like this occur, that’s when insurance companies step in. Except when they don’t. Unfortunately, it’s far more common than people think. In a study conducted in 2011, it was found that the national average for America was one in every seven drivers may be on the road without any kind of auto-insurance. These drivers may need a car, but either don’t want—or can’t afford—monthly insurance payments, so they cancel their insurance policy once they’ve used it to get approval on a car. Florida is a “No Fault” state, meaning that for damage of up to $10,000, insurance companies can automatically handle these payments without any need for going to court. But what happens if you get into an accident with an uninsured driver here? If you get into an accident where you are not at fault but the other party has no automobile insurance, there are essentially three options. As part of his last year in office, President Obama announced his intention to help the future of personal transportation arrive a little faster. He is committing four billion dollars to the research and testing of self-driving cars, as an attempt to accelerate the entry of this high-tech advance into the mainstream. Essentially, he would like to see to it that everyday Americans can have the opportunity to buy and use self-driving cars and by providing more funding for tests and live, on-the-field research and evaluation, it brings this future a little faster. Surprisingly, Florida is one of the pioneering states that is already participating in the testing of self-driving cars. This means that locals may one day either see—or even own—a car that can drive and park itself with no aid from a human driver. Who Qualifies For Worker's Compensation? If you become ill due to your work or were injured on the job, you may entitled to workers’ compensation benefits. Workers’ compensation is an insurance program that is required by state law that ensures employees who have suffered work-related injuries or illness receive financial compensation. Employees who are eligible receive compensation for lost work and medical bills, regardless of who was at fault, in exchange employees forfeit the right to sue their employers for those injuries or illnesses. Though there are a few exceptions to this rule. Not all employers are required to have workers' compensation coverage. Laws can very a bit from state, but an employer's responsibility to provide coverage typically depends on how many employees it has, the type of business, and the type of work the employees are doing. However, the majority of employers are required to carry this kind of coverage. Though pesticides are designed to kill bugs and rodents, their mode of action is not specific to one species including humans. The World Organization estimates that there are 3 million cases of pesticide poisoning each year and around 220,00 deaths as a result. With those kinds of numbers, it is scary to know just how dangerous these chemicals really are. Pesticides are the only toxic substances that we purposely released into our environment in order to kill living things. These substances are used to kill weeds, insects, fungus, rodents, and others. Using these toxic pesticides to manage pest problems has become quite a common practice around the world and is used almost everywhere. Though agricultural fields use a large amount of the world's pesticides, pesticides can be found in homes, parks, schools, buildings, forests, and roads. In fact, it would be more challenging to find somewhere that doesn’t have or use pesticides. From a can of bug spray under the kitchen skin to the crop dusting of the farm land, our world is simply filled with them. Pedestrian accidents can be a scary experience for both driver and pedestrian. Sadly, this is not an uncommon occurrence. According to the National Highway Traffic Administration, over 60,000 pedestrians were injured in traffic accidents in 2006. Safety comes first! Make sure to get any injured persons to a place of safety. Do not try to give them medical treatment beyond what is required of you in an emergency. Call 9-1-1 to ensure that the injured individual gets the medical attention they need straight from the professionals. Next contact the police and auto insurance providers (both for the driver's and the pedestrian's). Make sure to be honest as possible to them about what happened. Not every legal matter needs the use of an attorney. For example, fighting a speeding ticket or going to small claims court really don't need legal help for. 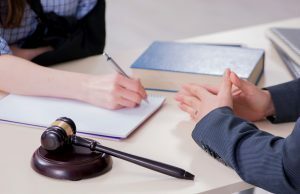 However, many other situation involving a legal dispute, challenge, or deal, you may not want to risk going it alone without a lawyer by your side. Still not convinced? Here are a few reasons why you want the advantage of a lawyer. Unless you are a law professional yourself, you really shouldn't try to act like one. Even experienced lawyers know better than to represent themselves in court. Without the help of a trained and emotionally detached attorney by your side, your case can quickly unravel. That aside, the law is a pretty complicated thing and you should save yourself the headache by having a lawyer to help. Winter is a time when most of the United States experiences frost, snow, ice, and other forms of frozen water that make it difficult to drive. Snow can even fall as far south as Florida, although what little of it shows up does so in the panhandle region. Still, if you were to describe slippery conditions, most Florida drivers who’d had to drive through a rainstorm would know exactly what you were talking about. And with more treacherous roads comes a higher risk of accidents, both the kind where you careen off the road and the kind where you skid into other vehicles. But how can you determine fault when Mother Nature is foremost to blame? Will I Get My Day In Court? There’s a lot of romance and drama attached to the courtroom. It’s the centerpiece of an uncountable number of films, books, and TV shows, the place where lawyers unearth their opponents’ dirty laundry, make bold accusations disguised as questions, and cow witnesses into breaking down and admitting the truth. The courtroom is a setting for clever thinking, flawless reasoning, and emotional speeches. It’s all great fun, but chances are good that even if you file a suit, you’ll never see your trial take place – and you’re actually better off that way. The thing about modern court cases, whether they’re civil or criminal, is that there really aren’t any sudden twists or shocking revelations on the courtroom floor. It’s unfair to make one side or the other defend against something they didn’t know about beforehand, and the justice system is supposed to be about fairness above all else. What Is The Personal Injury Process? You or someone close to you has suffered because of someone else’s negligence or outright malice. Under United States federal and state laws, you have a right to compensation from the party at fault for your injury. But how much compensation is that, exactly? How do you go about getting it, and in what order do you need to do things? The process can seem complicated at times, so it’s often good to have an idea of what you need to do. The first thing you should do is make sure you document the damage, whether it’s damage to your car, a physical injury, or an illness. Pictures are good for this, as are bills from doctors, hospitals, and mechanics. At the same time, many kinds of accident are covered by insurance (particularly workplace and auto accidents), so make sure you get the correct insurance information from everyone who may be involved. Volkswagen’s future isn’t looking terribly bright. After the scandal many are calling Dieselgate broke in September and slowly expanded to include millions of diesel vehicles worldwide, stalled sales in October soon led to a 25 percent sales plummet in November. That’s also when the automaker admitted it may have also fudged the CO2 emissions on a few gasoline vehicles, although the company has since revised its 800,000 vehicle figure down to 36,000. Not good that it happened at all, but at least it’s better than before. As far as Volkswagen’s future is concerned, however, there are two names appearing on its radar which may offer some help: Ken Feinberg and Elon Musk. Ken Feinberg has a storied history when it comes to settling financial matters outside of courts. He’s peacefully ended personal injury disputes brought on by Vietnam vets sickened by Agent Orange, 9/11 survivors, the BP Gulf oil spill, and GM’s faulty ignition switches. Considering the rest of his record, deceptive diesel engines are small potatoes. In a simple, black and white world of cause and effect, when an accident occurs, one person is the victim, while the other person is responsible for the accident. This is the “ideal” legal situation that many personal injury lawyers will try to pursue if possible, since this is the simplest kind of case to resolve in court. In the event that one party is clearly responsible, while another is clearly a victim, the case can be settled quickly and efficiently with little room for argument. However, in the real world this is not always the case. Sometimes when an accident happens, one party is not solely responsible for the incident. There are cases in which case even the party that has been injured has actually played a role in how the accident occurred. So what happens when more than one party is responsible for an accident? Does that mean that no one can pursue the case? Did you ever notice how court cases can sometimes take years between filing and actually seeing its first day in court? The primary reason for this delay is something called the discovery process, and the reason it takes so long is because it’s essentially the court case in slow motion. Attorneys, detectives, and other investigators spend this time collecting evidence, witness depositions, expert testimonials, and everything else they need to prove that their side is correct. Then, once they’ve each built up a decent amount of material, each side allows the other to see or “discover” their collected evidence. This gives both sides the opportunity to collect more evidence to counter their opponents, and after that the cycle begins again. The surprise witness or piece of evidence is a classic feature of courtroom dramas. There’s nothing like an unexpected swerve to get you invested in the plot and keep you guessing as to what happens next, after all. When the weather is sunny and you don't have too far to go, it's nice to be able to walk and enjoy the day. For some walking is even a daily form of exercise to keep you feeling good and healthy. Though traveling by foot might be a healthier option, it may not always be a safer one. Pedestrian-automobile collisions are more common than you may like to think. A lot of pedestrian accidents fly under the radar because many choose not to report their accidents to the police. Regardless of that fact, it has been reported that 70,000 pedestrians are injured and more than 4,000 die each year from automobile collisions. So why are pedestrian accidents so common? A pedestrian accident can happen for a number of reasons. Though most root back to a motorist's neglect to watch out for the pedestrian, it can be a little more complicated than that. Here are some of the most common causes of pedestrian accidents. Though children can certainly be a handful, they are a precious gift. That is why you, as a parent, try so hard to keep them safe and healthy. You make sure they get all their fruits and vegetables, take them to the doctor when they get sick, and never let them hop on to their bike without their helmet. But are you doing enough to keep your child safe? Keeping your child safe should always be your first priory as a parent. Due to their smaller and more vulnerable size, children require much more safety precautions than an adult does. This includes keeping them safe when your driving. Though you'd like to believe that you'd never get into an accident, specially when your little ones are with you, you can not take that chance with your child's life. Though many only think of Florida as being a very sunny and warm place, it is actually a pretty rainy state. This can be especially true during hurricane season when rain and wind become a deadly force. However, hurricanes aren't the only dangerous weather condition. Even when it is simply raining outside, the roads can become a dangerous place. In Florida, rain has caused thousands of car accidents each year. How Does Rain Impact Your Driving? It may sound strange that a little wetness could effect your health and safety. However, it really is no laughing matter. Any kind of poor weather condition is likely to effect your ability to drive in one way or another and rain is certainly no exception. The main reasons why rain can impact your driving boils down to less visibility, slippery roads, and inexperienced drivers. Accidents are no fun and can often cost you a ton in damages and medical fees. Thanks to Florida's no-fault insurance policy, Floridians are required to have at least the minimum amount of Personal Insurance Protection benefits also known as PIP. This allows you to receive financial help after an injury and get the medical care needed to recover. Sadly, not everyone is insured. In Florida, almost one in five at-fault drivers are still uninsured. Though Floridian drivers are required to have no-fault insurance, that may not be enough to cover the costs of being hit by an uninsured motorist. That is why insurance companies offer uninsured motorist coverage to give you that extra protection and assistance you may need after an accident. Understandably, not many people are eager to spend more when they already have some coverage. You have no fault insurance so why do you need uninsured motorist coverage? Whether your first thought is the deep roar of a Harley or the rabid scream of a Honda, motorcycles are exciting vehicles. 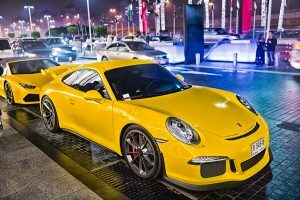 Even if you don’t push the engine to its limit on the open highway or weave in and out of traffic on a busy city street, it’s not hard to feel the excitement brought on by the wind whistling past your face and the sheer power rumbling beneath your seat. However, motorcycles also come with a variety of added risks which make caution and safety important considerations. The idea behind the idiom “haste makes waste” is that if you act too quickly you may skip over an important detail or else lose track of something important. However, while there are plenty of things which you should definitely perform with care and deliberation, consulting with a legal professional after an accident or other personal injury should not be one of them. When you get in an accident or you start to feel sick, and the pain is serious, you visit a hospital or your doctor right away to find out what’s wrong with you. If one of your appliances stops working, you call a repair technician. If your car starts making funny sounds, you call a mechanic. If you get into a serious disagreement over an accident or another sort of personal injury, why then would you not call a personal injury lawyer? Whether you’re commuting each day from a distant suburb or you’re driving down to your summer home to avoid the chilly northern winters, highway driving is a regular occurrence for millions of Americans. Perhaps because it’s so common we’ve become desensitized to the dangers we regularly face when going 60 miles per hour or more even on a divided road where you’d have to rumble through a ditch or ram through a concrete divider just to have a chance at crashing into oncoming traffic. Of course, even if you don’t have to worry about that particular problem, the sheer speed involved in highway accidents make them more likely to be fatal than a low-speed collision at a stoplight or on a neighborhood street. In 2013, over half of all fatal motor vehicle crashes occurred in rural areas, and this trend is consistent through the years. What follows are a few tips on how to stay safe the next time you spend a few hours moving at high velocity. Water, Water, Everywhere, So How Did I Get Hit? The range of watercraft and water-based activities is truly staggering when you think about it. There are rowboats and paddleboats for when you want to get some exercise while you’re on the water, motorboats and sailboats for crossing lakes and finding good fishing spots, speedboats for when you want to feel the wind on your face, and yachts of all shapes and sizes for when you want to have a relaxing time somewhere far from shore. However, your watercraft isn’t the only one out there, and whether you’re alone fishing in the reeds of a muddy lake or navigating through a busy quay, you need to keep in mind a few basic safety rules in order to have a good time and avoid harming yourself and others. The human brain is an immense and complicated organ, one with well over a dozen specialized areas and which reacts poorly to any amount of tampering. It can change emotional states in an instant by being exposed to nothing more substantial than a spoken word, and a direct injury could potentially change a person’s personality forever. While sports, particularly football, tend to get all the media exposure when it comes to concussions and other brain injuries, the majority of all traumatic brain injuries reported in the United States come from car accidents. Your head doesn’t have to impact anything directly to cause a concussion: when your car suddenly decelerates from full speed to a full stop, the momentum transfers to your body. This momentum can swing your head around with real force, causing a whiplash injury to your neck and a less visible injury to your brain. No matter how commonplace it may be, it’s important to remember that driving is really a very dangerous activity. It can be safe enough so long as you and everyone else on the road follows the rules, but when it comes to trucks, buses, and trains, there are a few extra tips you may not be aware of which you should keep in mind if you want to stay safe. There is nothing like the freedom and independence you get when riding a motorcycle. Sadly, that rush can be quickly shattered when an accident happens. Motorcyclist are involved in more accidents than any other vehicle. Although there are many ways an accident can happen, the most common cause of motorcycle accidents is because the other person failed to notice a bike when turning or misjudged their speed and distance. This is why it's important for a motorcyclist to always be on the defensive. However, that may not be enough to protect you. So before you hop on your bike you should know what to do and not to do if you find yourself in an accident. With Florida's sunny weather and miles of coastline, it is no wonder why so many Floridians are out boating. 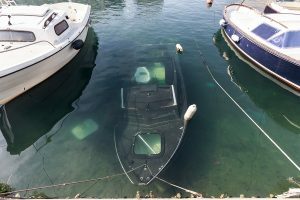 When you are spending your time out on the water it can be great fun, but accidents can happen. Sadly, boating accidents are not uncommon and can result in severe injuries. 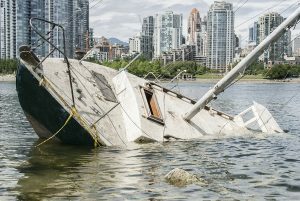 If you have been hurt in a boating accident or just want to know what your legal rights are, here are a few things you should know about liability in a boating accident. 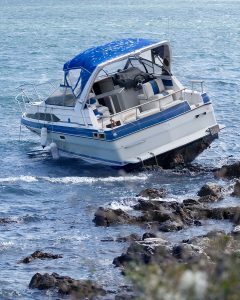 In a boating accident, liability depends solely on whether someone's negligence caused the incident. Negligence refers to the failure to act with reasonable care. 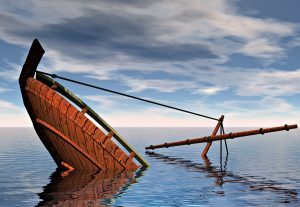 If the operator of the boat or a secondary boat somehow caused the accident or hurt rescue effects because of actions that were careless and unreasonable, then they are liable for the resulting accident. Sadly, it is not always clear whether negligence was the cause. Car accidents happen a lot more often than we care to admit. Being in a crash can drastically change your life and in ways that may not be obvious at first. After a car accident, it is important to have a doctor check for any external or internal injuries you may have suffered from. Many internal injuries can go unnoticed until it's too late and it's better to be safe than sorry. However, there is another type of injury that may go unnoticed after a car crash. Many do not realize the mental side effects that can follow after you have been in an accident. Lets say your driving down the highway and you see that someone's car is in a ditch. You stop nearby and rush to the scene. Once there you can see the driver is unconscious and trapped in the car. Immediately you call 911, but you are worried that they may not come in time. You could try to get the driver out yourself, but your unsure whether you could get sued for doing so. What should you do? Will you be protected from legal action later on? Laws can vary from state to state. Some offer protection for those who come to someone's aid and others can be sued even when their actions have saved the victim's life. With the laws varying, it can make it hard to know what to do or what your rights are in these type of situations. In Florida, they have what is called the Florida Good Samaritan Act or Good Samaritan Laws that describe what you can legally do in this type of situation. It's not that difficult to enjoy life in Florida. From the weather to the beaches to the numerous dining and entertainment options, there's always something to enjoy here. However, it can be a bit harder to enjoy your time in Florida if you've been injured in an accident of any kind. Injuries can make it harder to move through your day, create difficulties in your finances, and more. In fact, for many the financial side of healing is every bit as challenging as the physical recovery. Medical bills and lost wages due to missing time at work can combine to make your life very difficult as you move through the days and weeks following an accident. That's why finding a good Florida personal injury lawyer and seeking compensation for your injuries is so important. Accidents can happen in an instant, but can have effects that last for months or even years. 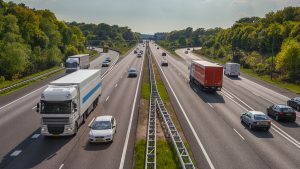 Among the most serious accidents are those involving tractor trailer trucks, and if you're involved in a crash with a truck there's a good chance that you're already aware of the severity that can come with them. 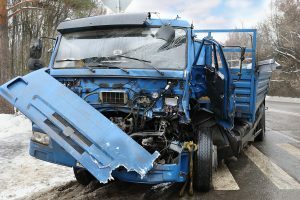 If you're injured in an accident involving a truck, it's important to remember that you could have the ability to seek out financial compensation for your injuries. If the accident wasn't your fault, you can seek compensation for your injuries from the driver of the vehicle. 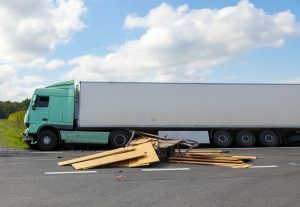 But while that sounds fairly simple, the reality is that personal injury cases involving trucks can often be the most complex types of personal injury law that is brought into the court system. 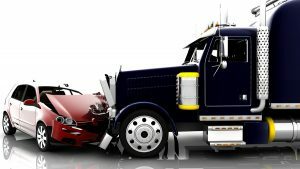 There are numerous reasons for this, but at their core they all mean one simple thing – finding an attorney is more important with trucking accidents than with any other type of accident situation. Port Charlotte is one of Florida's most beautiful locations, and is a perfect place to call home. However, it's difficult to enjoy life here when you've been injured in an accident. The process of recovering from your injuries can be a long and sometimes difficult one, especially when you have family who depends on you. Most will instinctively assume that their medical professional is the only person who can help them with their recovery. And while they'll certainly be the primary professional helping you physically heal, the fact is that a Port Charlotte accident lawyer is someone who can help with your recovery as well. With more than 18 million people living in Florida, and millions more visiting every day, it's only natural that accidents happen from time to time. However, it's important to understand that if you're involved in an accident that isn't your fault, you shouldn't have to shoulder the financial costs of your injuries. Finding an accident lawyer can help you avoid having to do so. While it's easy to ignore the need for an attorney, the reality is that they will directly help you in numerous ways after you're injured and ensure that you don't end up having to pay thousands in medical bills as a result of an accident that wasn't your fault. In order to get you the compensation that you deserve, a lawyer must prove that the other party involved in your accident was at fault and that they acted in a negligent, reckless manner. If they can show that their negligent actions caused your injuries, they will be able to get you the compensation that you are owed. Every year there are between 10-11 million motor vehicle accidents in the United States, and in Florida alone around two to three thousand people die as a result of these crashes. 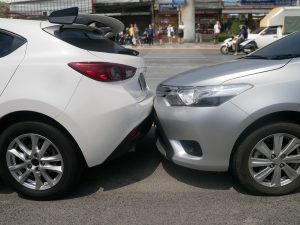 If you’ve driven a vehicle regularly for more than one or two years, odds are good that you’ve experienced an accident of some kind, although it was likely nothing more dramatic than bumping fenders as you tried to park or misjudging how much room you had while backing out of a driveway. 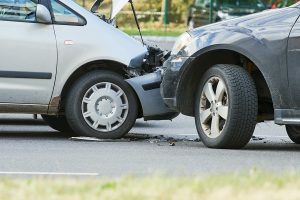 Still, you may yet find yourself in a collision involving two moving vehicles, and if that should happen there are several important tips you should know regarding what to do and what not to do. When you're injured in an accident, the recovery phase consists of several things. Chief among them is, of course, your physical health. But after your wounds heal, the damage an accident does to your budget can remain for some time. That's why it's incredibly important that you find a good accident Port Charlotte accident lawyer if you're injured in the area. A personal injury lawyer works to help you in a variety of different ways, and taking a look at the tools, resources, and processes they utilize can help you better understand what to expect during their representation of you as well as why they're such an important part of your recovery. Who Can Be Held Responsible For Injuries Sustained In An Accident? Florida roads can be dangerous, just like the roads throughout the country. The simple fact is that sometimes accidents will occur, and there's no way to avoid them. Recovering from an accident can be difficult. The combination of physical injury, mental and emotional damage, and financial hardships can make it very difficult to heal properly. While a doctor can help with the physical injuries, only a good personal injury lawyer can help you ease the financial strain of an accident. By turning to a lawyer to handle your case, you'll make it easier to focus on your physical recover instead of on the stress of paying for those medical bills. They'll do the hard work for you and help you find out more about what steps you can take. And they'll also help you get a fair amount in any settlement offer. Accidents are a daily occurrence in this country, and in Florida. With so many people living in and visiting Florida, the number of accidents happening at any time can be somewhat high. If you or a loved one is injured in an accident of any kind, it can be difficult to recover fully. While doctors can help you physically, their services aren't free, and can quickly add up to significant medical bills. However, if you weren't responsible for the accident there is a good chance that you can seek compensation for your injuries from the responsible party. It's not always possible, and your best bet is to begin by speaking to an attorney during a free consultation. This can help explain to you whether or not you actually have the right to seek compensation, what to expect from the process, and any steps that you'll need to take. Millions of accidents occur in Florida every single year. And while most of them are minor, a large percentage will be fairly major – major enough to require medical attention and potentially even cause the victim to miss time from work or become disabled. After you're involved in an accident, it can be difficult to focus on just what you should do. There are some obvious things and some that are constantly overlooked, but it's important to review all of the different steps in order to ensure that you are able to move on and recover – physically, emotionally, and financially. The first and most obvious thing is simply making sure that you're okay physically. If you have been injured, seeking medical attention is a must. However, even those who may not think that they've been injured still need to see a doctor. The reason is that under Florida law, you only have fourteen days to seek medical attention. Wait longer than that, and you will become ineligible for compensation from a PIP policy. Port Charlotte is like the rest of Florida in that it's a hot, wet city. The climate means that it regularly gets rain, and as the summer heats up those rains can increase in frequency. In fact, every year Florida receives around 3.5 inches more rain in the summer each month than during the spring or winter. While those rains can be a godsend during the heat, bringing cooler temps and a refreshing quality with them, they can also be dangerous at times. 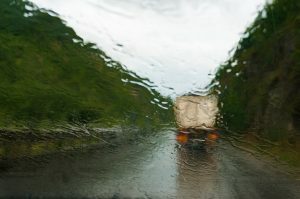 Wet roads lead to increased auto accidents, and the rains can make visibility difficult while also causing other issues – everything from a car crash to a slip and fall accident can be blamed on the rains. The year 2013 introduced Florida’s new PIP laws, and these are laws that every motorist should be familiar with and concerned about. PIP stands for Personal Injury Protection, and the state of Florida requires each motorist to have at least a $10,000 policy covering PIP in order to operate a motor vehicle in the state. PIP in an insurance policy covers the driver and his or her injuries should he or she be involved in a crash, regardless of fault, but this law also brings some concerns to motorists when it comes to their coverage and what this law can do for them. 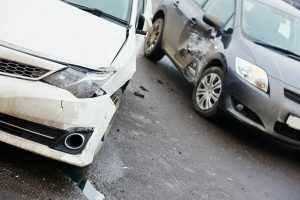 Can I Still Be Compensated If I Was Hit By An Uninsured Motorist? If you’ve been hit by an uninsured motorist either in a hit and run accident or an accident where the other driver acknowledges the occurrence, you can still be compensated. 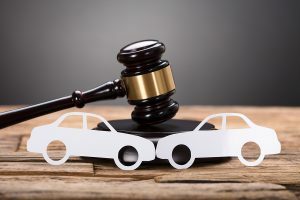 In the state of Florida, no fault insurance laws and Uninsured Motorist insurance policies allow motorists to still get compensation if they have been in an accident with a motorist without insurance. One recent study found that up to 20% of Florida drivers currently drive or have driven recently without insurance, so it’s important to know what you can do to make sure you get the compensation you deserve. 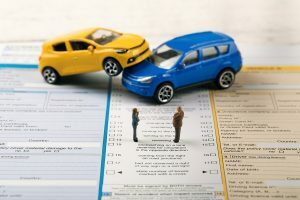 It is important for motor vehicle drivers to know that insurance companies will want to look out for their best monetary interest as well, and it’s important to realize that insurance companies may deny valid claims or offer low settlement amounts in an effort to save from paying more or at all. If you’ve been in an accident, and you have what you believe is a valid claim, you may still find that you have trouble collecting the settlement you need in order to recover and move on with your life. At All Injuries Law Firm, we want to make it easier for our clients to understand just what they may be able to expect when collecting a claim from an insurance provider, and how they can fight to receive the settlement they deserve. With the assistance of an attorney, you may be able to negotiate a higher settlement to cover your injuries and missed work, and it can help you to understand the claim process much better as well. The summer storms hitting the Port Charlotte area have brought quite a few automobile accidents along with all that rain. This is not an uncommon occurrence, and those in the Florida region know that bad weather will often come with treacherous driving conditions. As the summer rolls on, there will be more storms on the way, and it’s important to keep in mind how you can protect yourself from the pain of having to deal with all that comes along with a motor vehicle accident later on. In the state of Florida, no fault insurance laws are observed, and this means that in cases of minor accidents, a driver’s own insurance policy will cover their medical expenses and missed work wages. With vehicle accidents, there are all types of injuries a person may find themselves suffering from, and even injuries considered minor can mean a great deal when it comes to medical costs. Port Charlotte gets an average of 52 inches of rain per year. The United States average is 37 inches per year. A large percentage of the rain that Port Charlotte gets occurs during the summer months when you can almost set your clock by the thunder of oncoming afternoon thunderstorms. In June, Port Charlotte gets an average of 8.1 inches of rain. This city gets an average of 7.3 inches of rain in July. In August, Port Charlotte gets 7.9 inches of rain. In September, this city receives an average of 6.5 inches of rain. 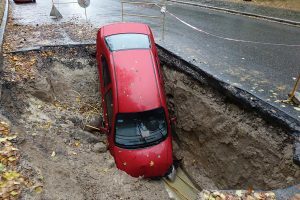 While Florida needs these heavy rains to make for dry winters, these storms can greatly increase the risk of an auto accident. It is estimated that 23 percent of the car accidents that occur each year are weather-related. Additionally, Port Charlotte has had a history of hurricanes. Hurricane Charley, which hit the city in August 2004, resulted in serious damage to the city. Meteorologists predicted that the hurricane would be a Category 2. However, the hurricane turned out to be a Category 4. The storm reached a speed of 145 miles per hour. A quality lawyer can make all the difference in an accident injury lawsuit. Unlike other more technical fields of law like contract or patent law, personal injury law directly concerns the lives of individuals and the catastrophic events that can redefine them. Choosing an accident lawyer in Port Charlotte must be taken seriously—laws are complicated and you need someone who understands their nuances to represent you in court or at the negotiation table. Here at All Injuries Law Firm, we know how serious and life-altering accident injuries can be. We put you and your family’s needs first and fight hard in every case. If you choose All Injuries Law Firm, we understand that the decision to press forward with a lawsuit is not an easy one and that the outcome can transform your life. For every case, we spare no effort in our goal of winning a positive outcome, hiring the best accident investigators and experts to help us make our case. Hiring experienced accident attorneys in Port Charlotte is one of the wisest decisions you can make in the wake of an accident. They can help you obtain justice for the past while safeguarding your future by securing compensation for your injury, current medical bills, estimated future lost wages, future medical bills, and pain and suffering. The purpose of the American legal system is to protect the rights of all citizens and ensure that the law applies to everyone equally. 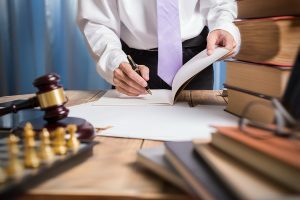 However, because of the complicated and often technical nature of legal statutes and the legal process, it is much harder to protect your rights and pursue justice without the counsel of an experienced accident lawyer. If you or a family member has been injured in an accident for which another person or party was at fault, you have the right to seek compensation for your injuries, your pain and suffering, and for the disruption it has caused in your life. Filing an accident lawsuit in Florida is not an easy process. It can require a significant investment of both time and money and, if you are to have any success, requires the skill of an experienced personal injury and accident lawyer. Gather evidence and relevant information – The first thing you should do if you intend to initiate accident litigation in Port Charlotte is to collect as much evidence and information regarding the accident and your injury as possible. Obtain copies of police reports, witness statements, insurance reports, pictures of the scene of the accident, and pictures of the vehicles in the accident (if there were any). Also make sure to write down the addresses and phone numbers of all relevant parties. You want to gather any information regarding your injuries, including: medical records, medical bills, documents indicating past and future lost wages, etc. Inform the at-fault parties – If you intend to file an accident lawsuit in Port Charlotte, inform the persons or parties you think are responsible that you will be filing a complaint against them.